An audit released late last week by the New York state comptroller’s office found the state’s Education Department, which regulates nursing, failed to investigate top-priority complaints against nurses in the time allowed by law. It also found nurses’ backgrounds were not adequately checked and that they were not properly monitored for criminal behavior after licensure. All of these findings confirm those in a ProPublica investigation into New York’s nursing regulations published in April of 2016. “The report underscores a problem we already knew existed,” said state Sen. Kemp Hannon, who has co-sponsored two bills — one in 2016 and one in 2017 — aimed at correcting problems identified by ProPublica. In 2016, the bill passed the Senate with a single “no” vote but never received a vote in the Assembly. In 2017, the bill passed the Senate unanimously, but the Assembly never proposed a bill or moved on the Senate bill. 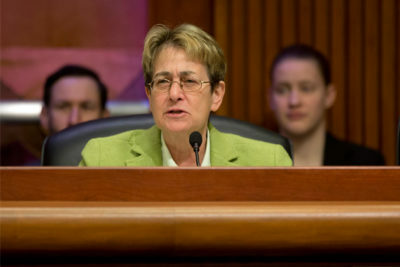 Assembly member Deborah Glick, who sponsored 2016 legislation similar to the Senate’s, said the Assembly is “working assiduously” towards a bill. 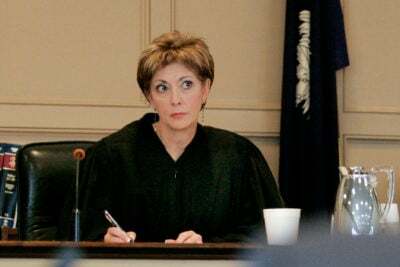 She said earlier versions of the legislation did not respect the due process rights of licensed professionals, particularly by allowing regulators to summarily suspend professionals’ licenses before they had a chance to respond in some cases. In other states, regulators have the power to do this when there is an urgent threat to safety. “We understand the critical importance of protecting the public, but we also understand that licensed professionals are entitled to their due process rights,” she said. She said a solution was almost reached this legislative session, but other initiatives “diverted” the higher education committee’s attention. She said she would make it a priority to pass legislation at the start of the next session, which begins in January 2018. Mark Johnson, a spokesman for the comptroller’s office, said that while audits of state departments are routine, ProPublica’s reporting was “a factor” in the decision to investigate nursing regulations. “As a result, the Department cannot be assured that all episodes of misconduct are identified properly and in a timely manner, and that nurses who pose a threat to the public’s health and safety are prevented from practicing in New York State,” the audit said. Both the 2016 and 2017 Senate bills, sponsored by Sen. Kenneth LaValle and co-sponsored by Hannon, would have fixed the vast majority of the problems identified by ProPublica and the recent audit. Aimed at all 54 professions licensed by the Education Department, both bills would have allowed the department to summarily suspend the licenses of professionals suspected of extreme misconduct. 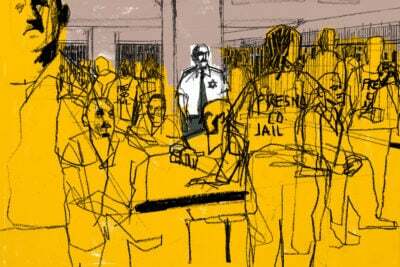 The measures also defined “moral character” requirements for licensed professions, and required professionals to inform the department of criminal convictions within 30 days. Hannon said he will continue to pursue a solution for the problems referenced in the comptroller’s audit. If the legislature will not act to fix holes in the oversight of all 54 professions licensed by the state, he said he may propose legislation aimed directly at nursing or move to have the regulation of nurses moved from the Education Department to the Health Department, which regulates doctors and physician assistants. New York is the only state in the country that assigns the regulation of nursing to the Education Department. 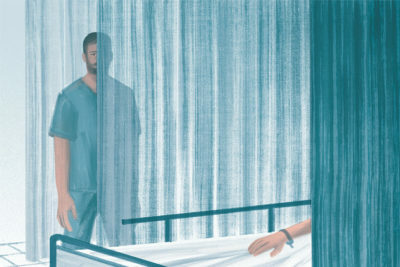 Under the Education Department’s supervision, New York has continued to allow nurses who have harmed patients to retain active nursing licenses. ProPublica’s report highlighted the case of Linda Ansa, a Bronx nurse who the New York Health Department found had nearly killed a 99-year-old nursing home resident by administering 50 times the necessary dose of insulin. Nursing homes in New York are regulated by the Health Department, which penalized Ansa in 2014 before referring her case to the Education Department for action against her license. But more than three years after her case was referred, no action has been taken. Her license remains clear. Neither Ansa nor the attorney who represented her in the Health Department case has responded to requests for comment. The Education Department declined to comment on Ansa’s case and typically declines to answer questions on specific disciplinary actions. A spokesman for the department, Jonathan Burman, said in a statement that all allegations of misconduct are taken “extremely seriously.” He said that the department has “sought legislation to modernize and enhance our authority over licensed professions” for the past two years. “We will continue to work with the legislature to get this important public protection bill enacted,” he said. In a response included in the comptroller’s audit, the Education Department said its budget has not kept pace with its increasing responsibilities. The professions regulated by the Education Department range from nursing to landscape architecture and the number of professions the agency oversees has increased steadily over the decades. According to the audit, receipts from fees collected by the department have risen from $41.5 million in 2010-2011 to $53.5 million in 2016-2017. The department’s appropriation in the state budget, however, has stayed at $45.1 million over the same period. The department also told the comptroller’s office its antiquated computer system made it difficult to efficiently handle its caseload. The state commissioner of education, MaryEllen Elia, has 90 days to report to the comptroller, the governor and the legislature on what steps the Education Department has taken to implement the comptroller’s recommendations. The recommendations include streamlining and more closely tracking investigations, strengthening controls over “moral character” requirements for nurses and researching the best practices of other states. Donna Nickitas is the executive officer of the nursing Ph.D. program at the Graduate Center of the City University of New York. She called the comptroller’s recommendations obvious and said she was “greatly disappointed” that neither the Legislature nor the Education Department had undertaken those improvements over the last year and a half.